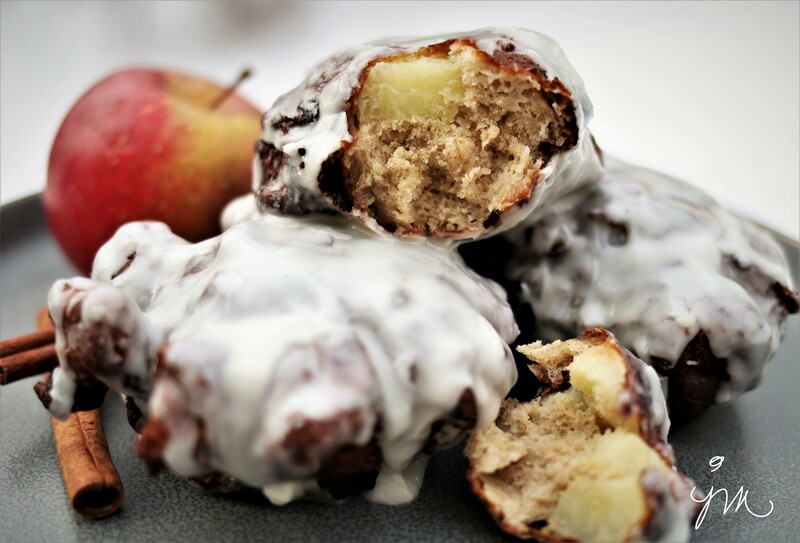 I LOVE Donuts! Have you guys ever tried them? 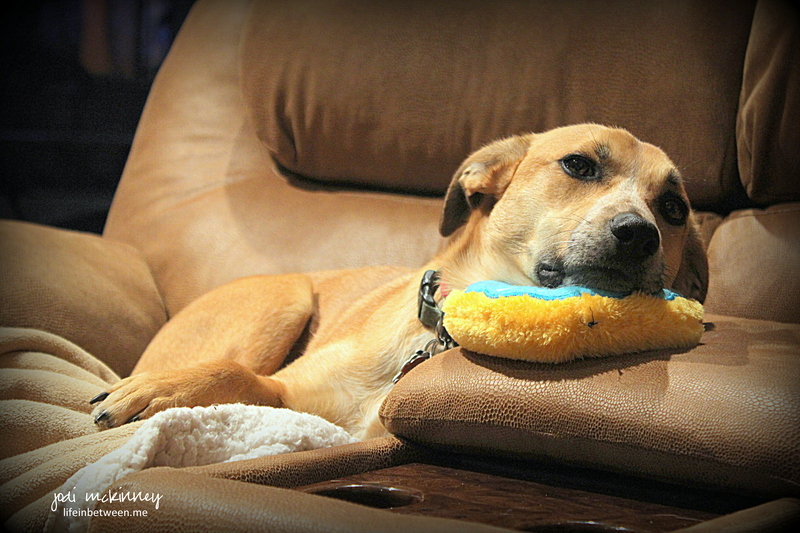 Here I am in one of my favorite napping spots on the love seat on my sherpa fleece blankie with my blueberry donut. I just got this new flavor. It’s quite delish and squeaky and fun! 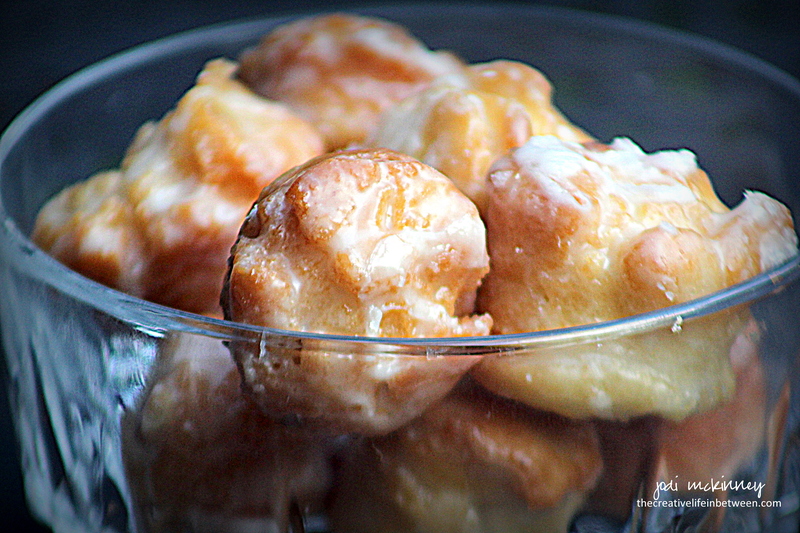 These donuts can be found in a multitude of places throughout my home and yard. Aren’t I the lucky one!?!!?! 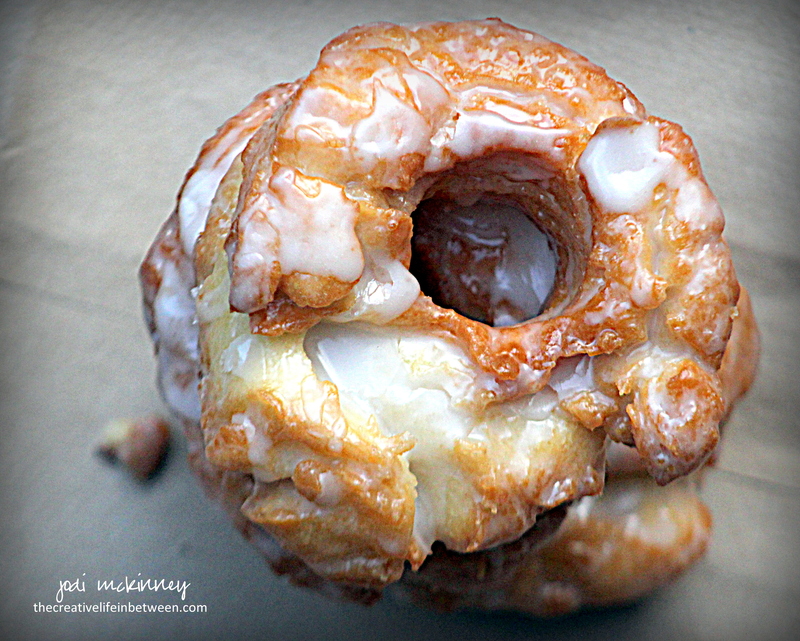 I have already had two chocolate and one cherry donut, and I would really, really, Really, REALLY love this glazed one! HINT HINT – will you please tell my Mom? (or maybe our friends at ZippyPaws will see this and send me one for sharing the love!) Paws crossed!!! One of my favorite things in the entire world to do is play. Play follows closely behind my other favorite things in the whole wide world: breakfast and dinner and walks. Grab it first thing in the morning (after breakfast of course), and squeak it around the house to make sure everyone wakes up. After all, it is a new day – an opportunity to play. Bring it to my Mom and push it up against her leg while squeaking it so she will throw it and play fetch – especially when she is on conference calls for work. Bring it to Mom or Dad or Nick, but as soon as they bend down to grab it to “play fetch,” run away quickly to make them chase me. It is also important to give a playful GRRRRRowl when I buzz past them – just to let them know who has it! Carry it around with my nose sticking out of the hole and the top covering my eyes – just to show I can maneuver quite fine even when I can’t see where I am going. Take it out the doggy door into the rain and snow so it gets nice and smelly and wet and even more delicious, and then bring it inside and lay on Mom and Dad’s bed with it under my chin. Play tug with Mom or Dad or Nick until the say “Drop It!” (which they always say quite firmly and authoritative…) Dang! Then I really have to let it go – because that is what a dog is supposed to do – right? Chew on it and make it squeak at least 27,569 times (give or take) until you can break a tiny hole into it and rip it apart – destroy the squeaker and show it who is boss! Sleep with it to assure nobody else gets it! 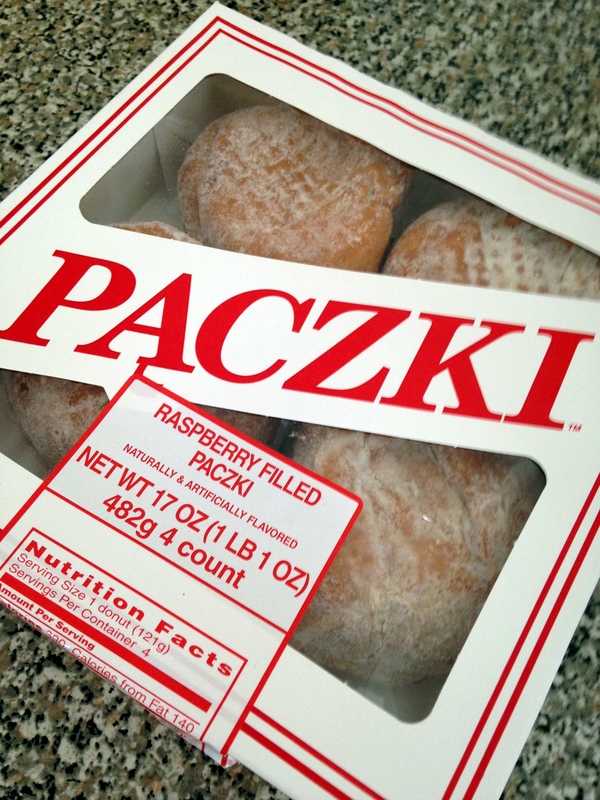 I did, however, see and smell something different in the house the other day…..
My family was eating these donut-like things called Paczki (pronounced punch-key – WHAAAT???!!) 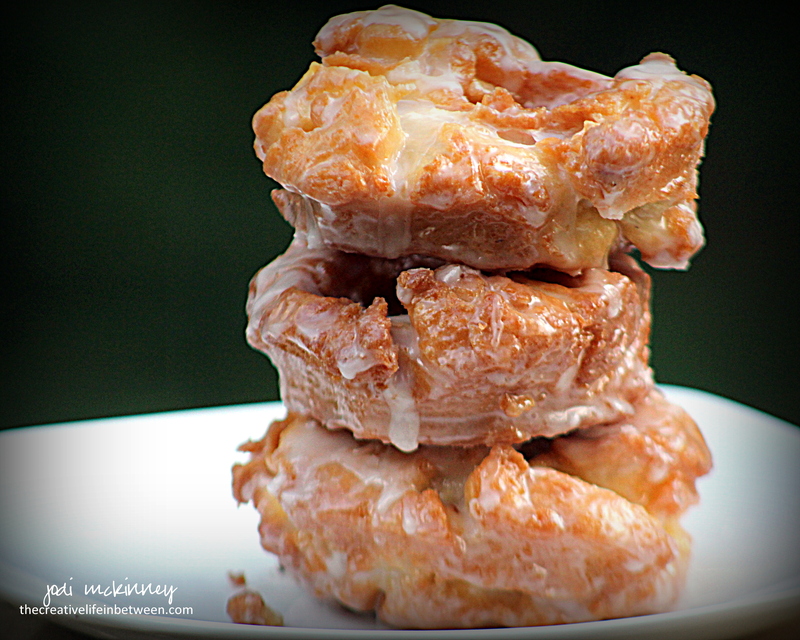 in honor of Fat Tuesday. 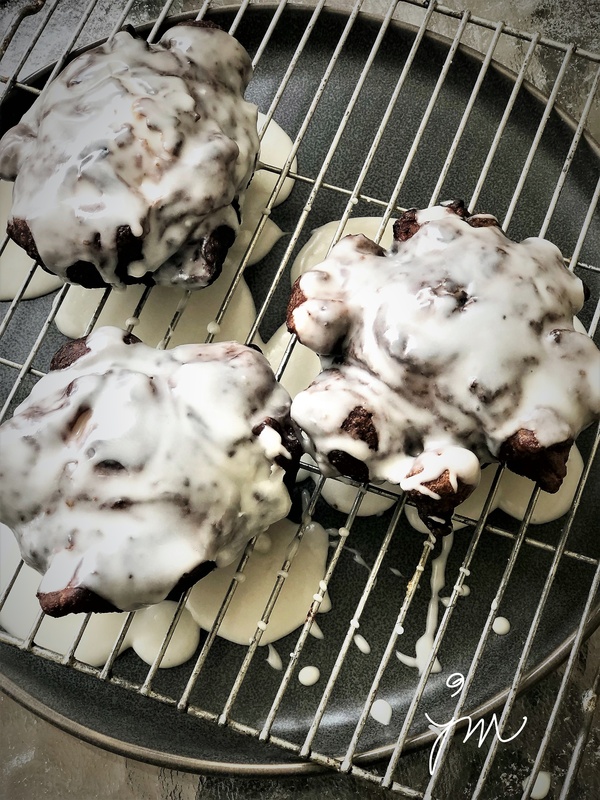 Sheesh – any excuse for a sweet in this house! 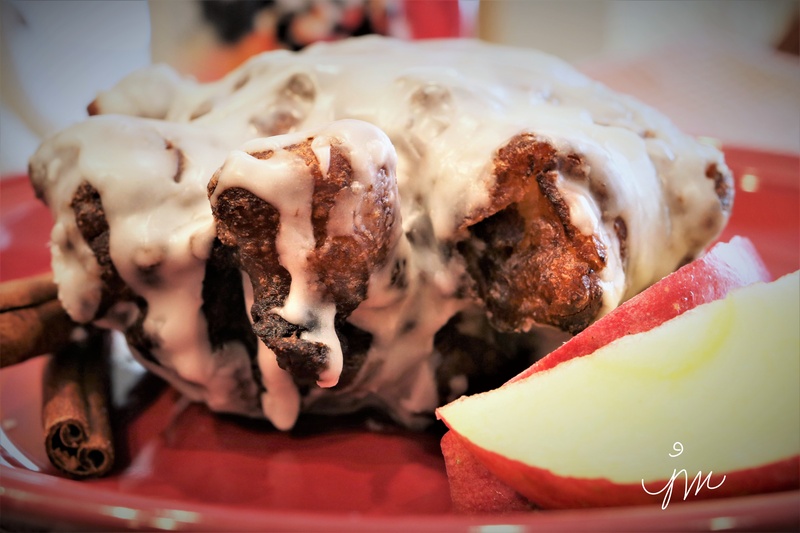 Hey – they didn’t share….. 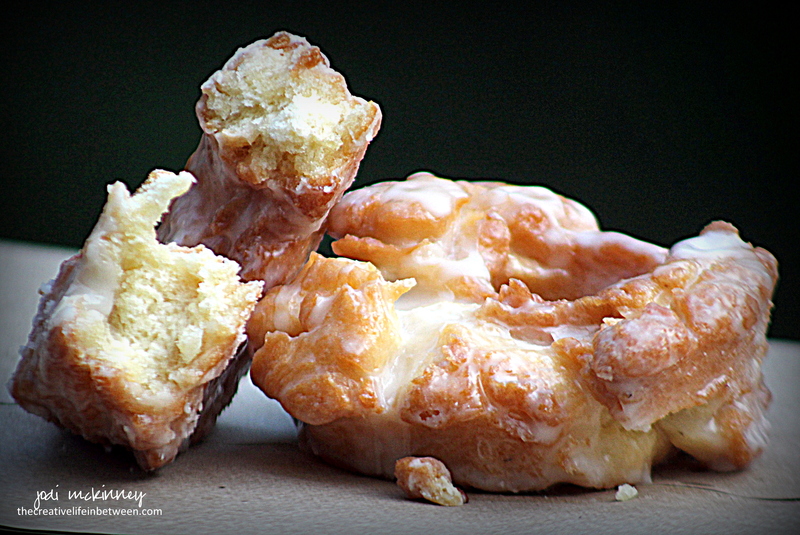 I wonder if they tasted as good as my donuts……? 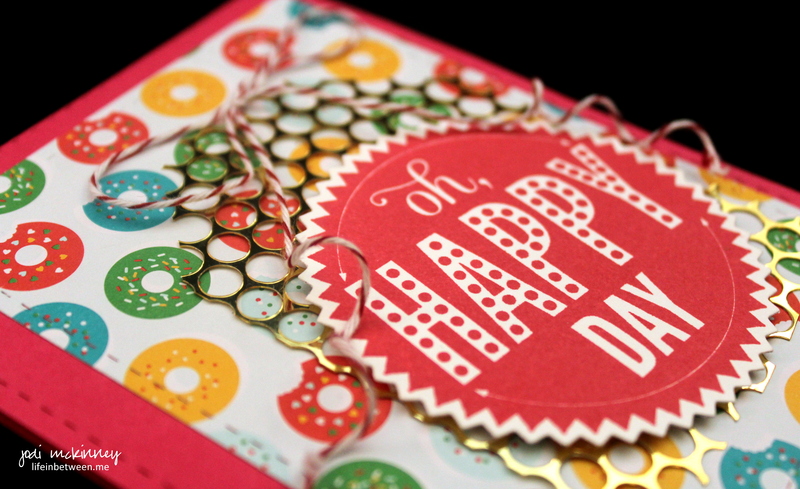 Could you go for a donut with sprinkles on top right about now? Wouldn’t that make for A Happy Day!? 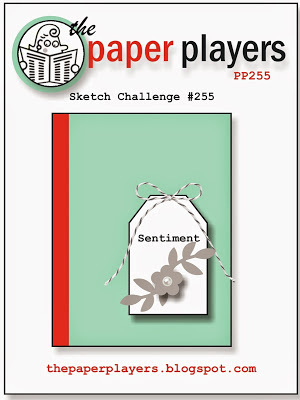 It’s Sunday, so time for me to share a design inspiration for this week’s Paper Players Challenge: PP255. This week is a sketch challenge, so we get to use anything we want to create something that resembles this sketch. 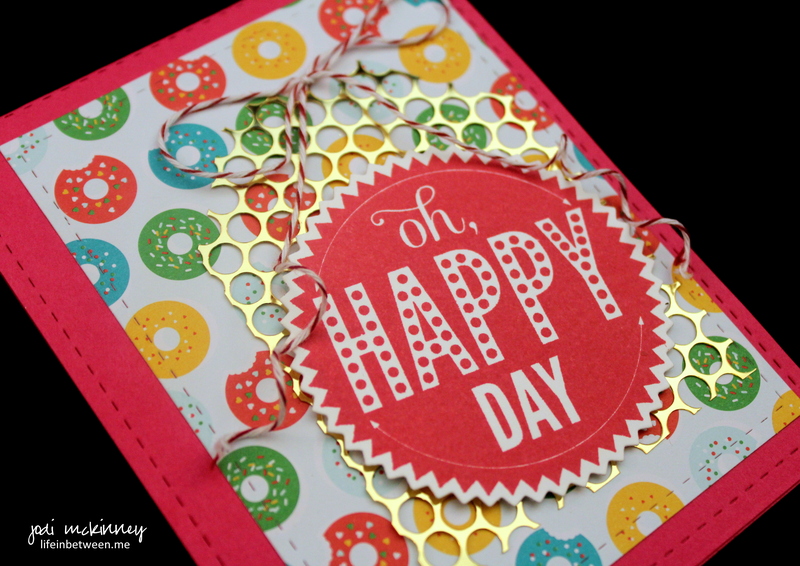 I think this Stampin’Up Cherry On Top Designer Series Paper featuring the sprinkled donuts is so cute and cheerful, and I love the “Oh Happy Day Stamp, so I made this card, adding a little gold bling by making the “tag” from punchinella. Punchinella is the sheet that is left over after making sequins. Did you know that? How clever is that for someone to market and SELL!?!? And isn’t it just that extra little pop that makes this card? 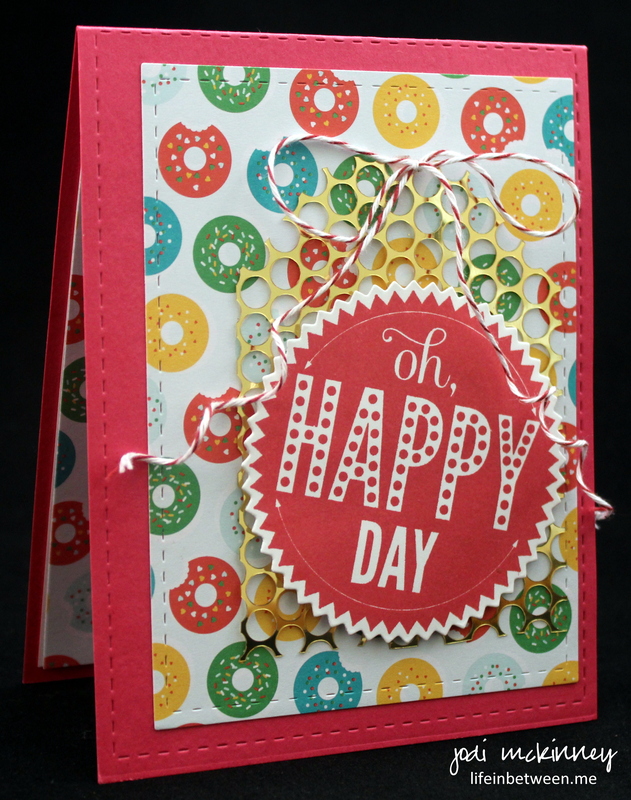 I used some foam tape to make the Oh Happy Day Starburst Sentiment pop up off the card a bit for even more dimension, and used scissors on the bakers twine to make it curl a bit. Here is what I used to make the card.